We’ve all felt our hearts break over stories of animal abuse: those single, violent and senseless acts of cruelty against an animal. While neglect may initially not seem as brutal, the failure to provide the basic care required for an animal to thrive can be just as devastating. Severe neglect can mean extended periods of extreme suffering resulting in permanent injury or even death. Pets can’t speak up for themselves when they are being mistreated, so it’s important to step up when we suspect a problem. How do you spot a neglected animal? Some signs are too obvious to miss and often there is a pattern. Is the dog skinny to the point of looking malnourished? Dirty, tangled and matted fur can indicate a dog that does not get even the most basic grooming care. Animals who cower in fear when their owner approaches are likely victims of abuse, but pets that are neglected may be regularly left alone without food or water, and often are chained in a yard. Some pets are even abandoned. Their owners simply move away and leave them behind, so neighbors might hear them howling and crying. Hoarding animals is another form of neglect. Some people keep more animals – usually cats, but sometimes dogs – then they could possibly care for adequately. A person who takes in far more animals than they can care for may have done so initially with the best of intentions, but becomes overwhelmed and virtually blind to the suffering these animals live with daily. Other signs of neglect include tick or flea infestations that are not being treated, wounds on the body, limping, and patches of missing hair. Dogs that are hit by a car or suffer an injury without being taken to the vet for medical treatment are being neglected, and they often suffer terribly. So do animals that are kept outside without adequate shelter in extreme weather. In frigid temperatures, dogs can suffer from hypothermia and painful frostbite, and in extremely hot weather can become dehydrated quickly and die from heat prostration as their organs shut down. Neglect can be deliberate or unintentional, but either way the animal suffers and extended periods of neglect seriously compromise an animal’s health and can lead to their death. It’s tragic when an animal dies just feet away from the home where their caretaker lives, and it seems even more cruel than a single random act of violence. Why? Because neglect means the animal’s pain and suffering is prolonged, for months or even for years. Misery, confusion and fear are cruel companions to man’s best friend when he or she is the victim of neglect. A dog that is being starved goes through a range of painful stages during their deterioration. Their initial loss of body fat is followed by loss of muscle and the onset of atrophy, failure of the liver and other organs, and they may even develop burning lesions on the skin. 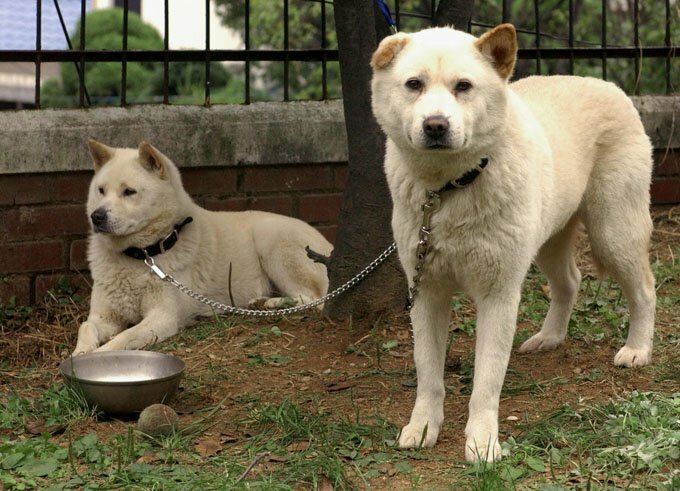 In some jurisdictions, it is not illegal to continually chain a dog, but chained dogs are more likely to be victims of starvation because their confinement makes them helpless. Chains can be too short or tight, get twisted and tangled, could choke the animal or make it impossible for the dog to reach food, water, or to take shelter from the weather. There’s a genuine emotional toll on a chained dog as well. Dogs are social pack animals, so being isolated at the end of a chain can cause them to become aggressive, have neuroses, or exhibit self-mutilating behavior as they try to free themselves. Let common sense be your guide, but once you recognize the signs it becomes critical that you act quickly to save the animal. Most communities have an animal welfare agency that you can call, or contact your local police department to report suspected animal neglect. The ASPCA suggests that you have some information available when you speak to these authorities. Make notes in as much detail as possible about the date/time/location of the abuse. Don’t enter the property without permission, but photos or video taken with your cell phone can be extremely helpful: include both the pet and the surrounding area if possible. If anyone else is aware and concerned about the situation, include their contact information. You can remain anonymous reporting an abuse incident, but the likelihood of successful prosecution in these cases greatly increases with a witness who is willing to testify. 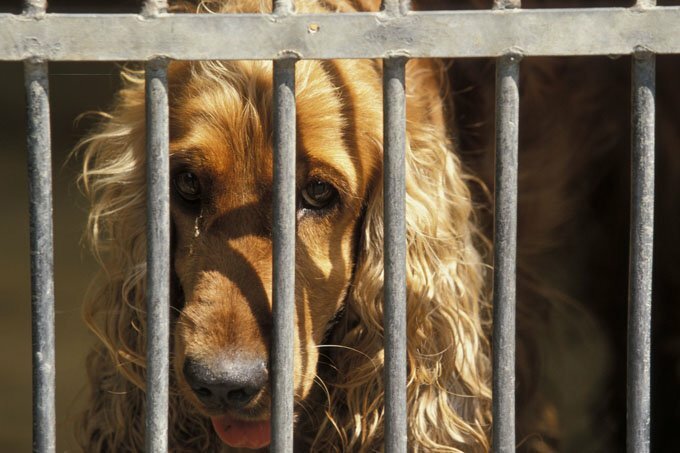 Animal neglect should be treated as a serious crime because of the extreme suffering involved. Many states now have a provision specifically addressing animal neglect written into their animal cruelty laws, while others allow animal neglect to be prosecuted under general cruelty statutes that prohibit acts of torture against an animal. 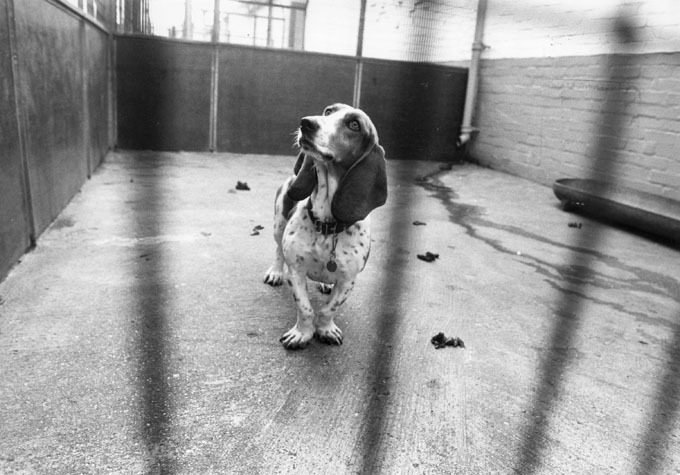 Thirteen states have laws that limit the continuous chaining of dogs. According to the Humane Society of the United States most cases never make it to trial but are settled with the animal being placed in a new home or made available for adoption through a shelter. The abuser will frequently face sanctions and monetary penalties. Law enforcement agencies are aware that people who are insensitive to the suffering of animals are more likely to also be unresponsive to the needs of dependent people in their households. Several states have cross-reporting laws and informal agreements between social welfare agencies that encourage caseworkers to report signs of animal neglect. Nationally, animal control agencies report that animal neglect cases are the most common calls to which they respond. Is Pet Obesity A Form Of Neglect Or Abuse?